Daniel F. Freedman is an associate in the firm's Government, Land Use, Environment and Energy practice, where he assists clients on matters relating to real estate development, zoning, land use entitlements, and compliance with complex local, state and federal regulations such as CEQA, NEPA, California Coastal Act, federal and state housing laws and historic designation regulations. In this capacity, Daniel has worked on a broad array complex projects including traditional industrial, commercial, residential, and mixed-use developments, as well as projects involving renewable energy, high-speed rail, outdoor advertising, mining, waste processing and coastal developments. Daniel also represents clients on related civil litigation matters in both state and federal courts, and is experienced in lobbying on legislative, quasi-judicial, and entitlement issues. 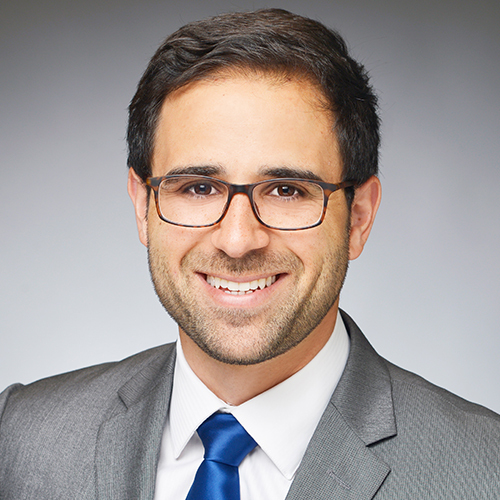 Prior to entering the legal profession, Daniel worked as a consultant advising government agencies, energy and infrastructure developers, and environmental organizations on issues relating to environmental policy, government affairs, and political strategy. He also organized and managed regional and statewide advocacy and outreach campaigns on environmental policy and regulatory issues, and advised clients working on complex projects such as concentrated solar, natural gas distribution, waste-to-energy, long-haul transmission, wind energy, carbon capture and sequestration and water infrastructure. At the federal level, Daniel has worked with national think tanks and advocacy organizations to brief legislators and congressional staff on emerging energy, environment, and natural resources issues. Daniel also takes pride in his role as co-founder and board chairman of the Los Angeles Sustainability Collaborative, a Southern California non-profit focused on addressing regional environmental and sustainability challenges through research, education and advocacy. He is also an executive committee member of the Bet Tzedek New Leadership Council, and serves as support staff for United in Harmony. Daniel is a graduate of U.C. Berkeley, where he earned his Bachelor of Science in Conservation Resources Studies, and UCLA where he earned his Master's degree in Urban Planning. He then received his Juris Doctorate from Loyola Law School, Los Angeles. The San Luis Obispo Tribune: Will SLO's 'nondiscrimination' housing measure change rentals for the better?